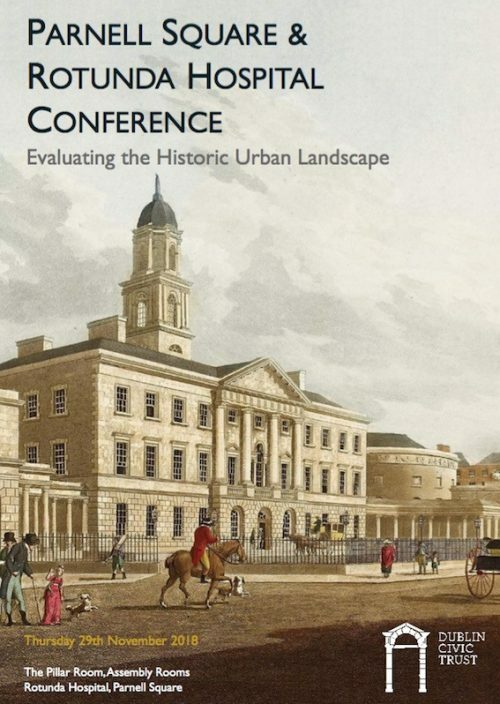 The theme of the conference, organised by Dublin Civic Trust, is "Evaluating the Historic Urban Landscape". The aim is to highlight the history and development of the square and its houses, the hospital buildings, its entertaining rooms and associated landscape. It takes place in the Pillar Room of the Rotunda Hospital on 29th Nov 2018.